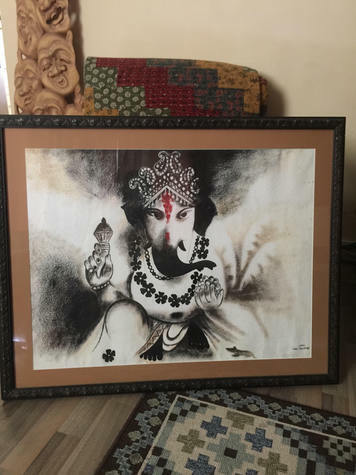 This lovely print was purchased in India and professionally framed. It is 33x27in. Calming sepia tones with a slash of red. Hindu religion believes He is the supreme consciousness that pervades all and brings order in this universe.